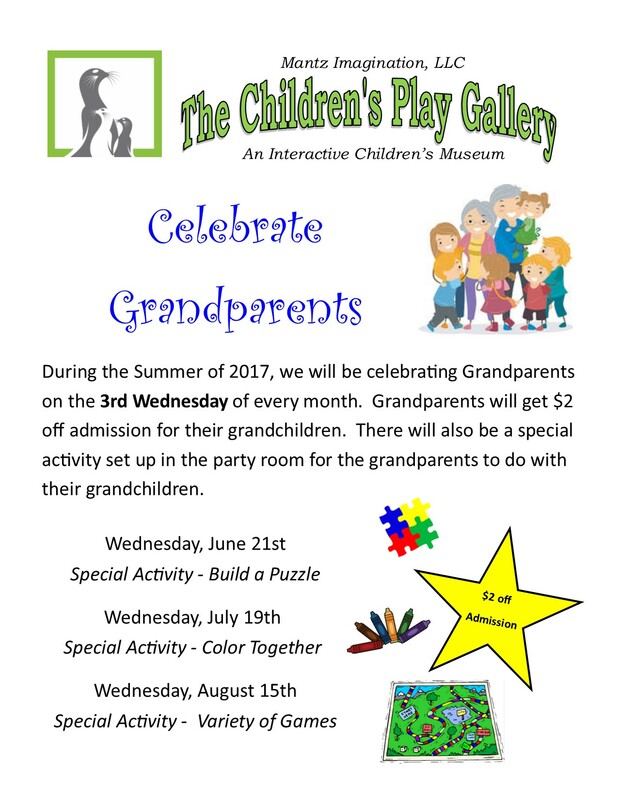 We love to see and meet all of the amazing grandparents that bring their grandchildren to The Children’s Play Gallery! We will be celebrating Grandparents on the 3rd Wednesday of June, July and August. 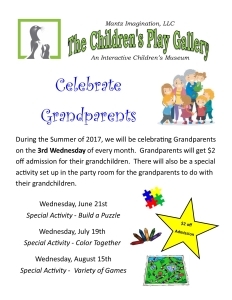 Bring your grandchildren to the museum and receive $2 off of their admission on June 21st, July 19th and August 15th. There will also be special activities planned.